Speaking at the special meeting of the CARIFORUM Council of Ministers March 26 at the St. Kitts Marriott Resort, Minister Brantley acknowledged and thanked representatives from member states based in the UK and in Brussels, noting that much of the diplomatic activity takes places in those areas, especially at such a crucial time. “Your work at both the technical and consultative level has helped to clarify much of the issues [that] emerged since the decision by the United Kingdom to leave the European Union close to two years ago, and informs the shape and contours of our future engagement,” stated Brantley, while expressing thanks and appreciation to the hardworking staff at the CARIFORUM Directorate and the Office for Trade Negotiations at the CARICOM Secretariat in Guyana. He noted that their technical output contributed to the region’s current state of readiness to continue the dialogue with the United Kingdom and the other member states of the European Union. 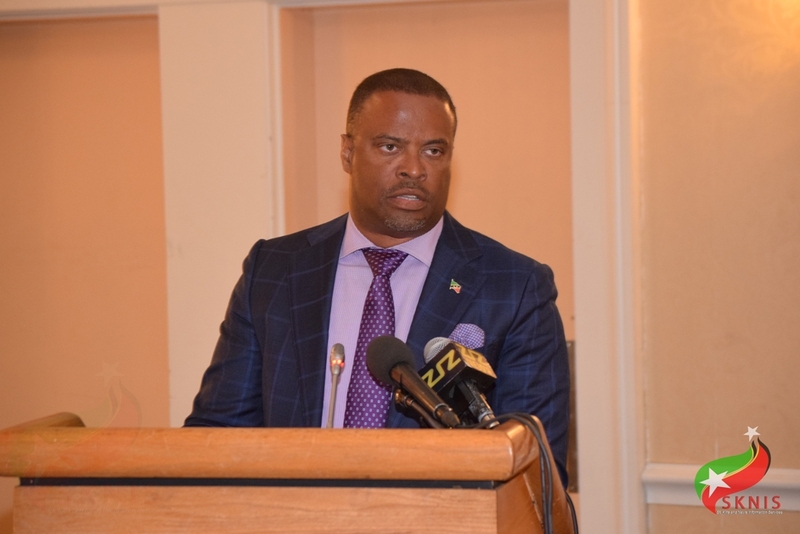 “We recognize your work in collaboration with CARIFORUM member states to prepare textual proposals [that] will be submitted to the United Kingdom as we seek to preserve our current level of market access into the United Kingdom after 2019,” the foreign minister said. Brantley said that it is important to be prudent going forward as any decision made requires the full cooperation of all involved. He added that in considering the way forward, all stakeholders must find an effective way to establish a solid platform for discussing development cooperation. The foreign minister echoed his confidence in the meeting, noting that it will “serve to advance” the region’s work on the “aforementioned thematic areas.” He added that their role is to ensure that an enabling environment is created for the achievement of economic growth, social cohesion and environmental sustainability as outlined in the 2030 Agenda for Sustainable Development.